Somehow it’s August already. (I’m honestly not sure how that happened, but time does seem to turn much more quickly now than it ever did when I was a young child.) The advent of August also brings (to those of us who celebrate and note it) Lughnasadh (or Lammas). This holiday is a lush one, abundant and full. It has us celebrating with profound gratitude the things we’ve achieved, the gifts we’ve received, the experiences we’ve had, the talents we’ve developed, and the things we’ve learned… It’s time to begin to reap what we’ve literally and figuratively sown. 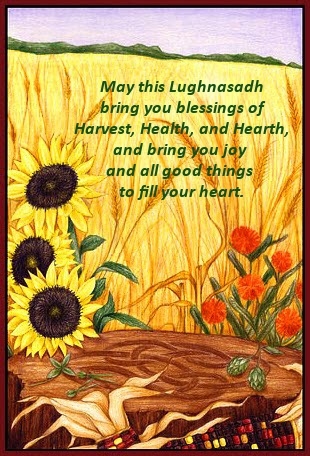 Historically, Lughnasadh is a Gaelic seasonal festival that marks the first harvest—the sun is high, the gardens are lush and growing well and we begin to harvest what were seeds just a few months ago. Although few of us truly depend on our own agricultural skills beyond perhaps a small vegetable garden plot, the concept of reaping and sowing is one we can apply to all our lives. We can ask, where in my life do I feel abundant? Where are my efforts yielding fruit? At this time of the year, it’s great to celebrate accomplishments and honor the efforts that went into the achievements, but it’s also a good time to check in and see what perhaps is being neglected. We all make our resolutions and set goals for ourselves at the beginning of the year, and now’s the time to ask if those goals and resolutions still serve you and if so, where are you in meeting them? For me, this year has been an exciting year full of ups and downs. I set a number of goals for both my business and my personal life. And when I look at those goals, I realize that some are in very good shape, and others … well, not so much. It’s time for me to really look at what I expected to do this year. Some of it makes a whole lotta sense, some goals were good but perhaps a bit unrealistic, and others were made from an ego place that really isn’t serving me anymore. So, what to do? Well, I’m not going to beat myself up. With all the meditation and self-compassion work and talk I’ve been doing lately, that doesn’t seem like anything I ought to do. No, instead, I’m going to re-energize myself around the goals that make sense and will help me continue to move forward. 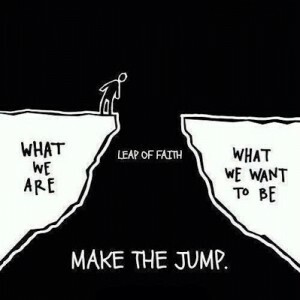 I’m going to let go of what isn’t working and see if there are better ways (or goals!) to pursue. I'm grateful to whomever created this beautiful image. Sadly, I'm unable to find a name and give proper credit. The point is, gratitude makes it so much easier to notice where there’s abundance in our lives. Otherwise, we habitually take note instead of the problems, the discomforts, and the challenges. So, take a few moments right now and be grateful for all the blessings in your life. Take time to relish the places in which abundance shows up. And if you are loved, you are abundant! What are you working toward? What brings you joy now? 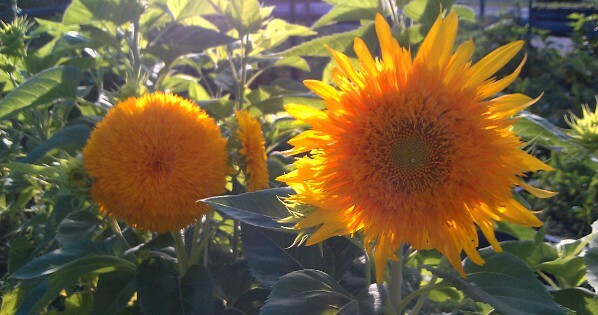 Where does abundance show up in your life? This blog has often been about finding personal freedom physically, mentally, emotionally, and spiritually and that’s not about to change so I guess it’s appropriate that my return to the blog happens on July 4. I will say it seems cliché to say what I’m about to say (it HAS been almost three years!) but I’m going to anyway: SO MUCH HAS HAPPENED since I last wrote in this blog! It’s rather mind boggling to contemplate and almost impossible to capture swiftly. When I last wrote, I was reaching a crisis of … everything. My health was steadily failing for reasons I didn’t understand, my energy level was precariously low leaving me weeping at the thought of any physical activity (forget hiking any mountains! ), my yoga asana practice became practically obsolete and teaching my beloved yoga classes was swiftly becoming more than I could handle. My daily work was overwhelming and had become profoundly unfulfilling leaving me constantly stressed, and my personal life was full of extreme highs and lows so any sense of balance seemed outside my reach. To sum up, I was reaching my physical, mental, emotional, and spiritual bottom. 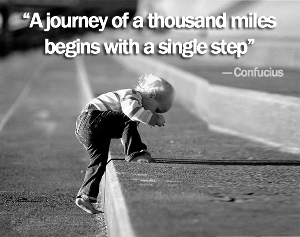 So, I started with some small steps. When my western doc couldn’t seem to give me any good answers, I followed the lead of a close friend and sought out a naturopath, and I’m ever so grateful I did. I discovered a plethora of reasons for my ill health, low energy, and yearly bouts of knock-me-down-for-a-month flu. I found I was overly sensitive and reacting to a number of foods causing chain reactions throughout my body. Subsequently, my digestive and hormonal systems were all out of sorts, and chronic stress had affected my adrenals til I was always in a constant state of ‘fight or flight’. Determined to create that change, I followed my naturopath’s protocols, then changed my diet to eliminate a lot of what was irritating my digestive system (I now eat Primal/Paleo. And yes, I resisted that at first, too!) and over the course of almost three years have steadily seen improvements. I’m not done healing, but I can see progress. I’m eating whole foods almost exclusively with great benefit to my health. I’m picking up my physical activity again, including my asana practice. I’m re-learning to meditate. I’m learning to care enough about myself and my health that it’s a priority in my life–and in how I build my business. As my physical health began to improve, my mental health and work situation became more and more of a problem. I’ve never been good with being bored and I was sooo bored at work! That’s not to say I wasn’t overly stressed because there was always too much to accomplish with the resources we had. But the work didn’t challenge me creatively or mentally any more and I no longer worked within my strengths; although I worked with great people, every day had become a stressful challenge. I kept looking for other positions, but nothing seemed to be right. And so I started seeking other help and found Dr. Kate Siner (an entrepreneurial and personal development mentor) who started filling my ear with, “Why don’t you start your own business?” I must say, I resisted at first. I didn’t feel like I could do it. And I was stuck on the idea that any business I started would have to focus on web design and building. Why? I’ve no idea; that’s a very silly idea–my web skills were too old school to be useful. But it’s a good illustration of how we can get in our own way and how our fear and resistance to the very change we claim we want can have us making decisions that make no sense. It wasn’t until Dr. Kate said to me, “Why are you focused on design? Aren’t you good at content? At copywriting?” I’m pretty sure my mouth dropped open in response because I couldn’t believe I hadn’t seen that myself. Of course! Writing is the thing that has always come easy … and the talent I’ve most often dismissed. I hope you stick with me as I continue to ride the yogini-hiker-wellness addict-entrepreneur wave because the biggest lesson I’ve learned is that we can’t do it alone–support is necessary. And I hope you’ll share some of your stories with me so I can support you, too.